Want something new and interesting to do with your plane while helping your community? We have immediate openings for pilots with planes. Come join the Yavapai County Sheriff’s Team of Search and Rescue Professionals. Yavapai County Arizona entices residents and visitors alike with some of the most beautiful and diversified terrain found anywhere in this country. From wide-open deserts with rocky mountain tops to thick forests with lakes and running streams, there is something for everyone to explore and enjoy. Our mountains and valleys offer literally hundreds of miles of rarely traveled roads and thousands of trails and footpaths through inaccessible valleys. Unfortunately for some, exploring these areas can sometimes lead to terrifying hours, or even days waiting to be rescued after a problem with their vehicle or after becoming lost or injured while hiking or biking. With any such emergency, it is important that these people are located and rescued quickly. In addition to state and county resources, the Yavapai County Sheriff has several volunteer organizations at his disposal to contribute to search efforts. Whether by foot, horseback, four-wheel drive vehicle or by air, these dedicated individuals give thousands of man-hours annually to make our part of Arizona a safer place for everyone. 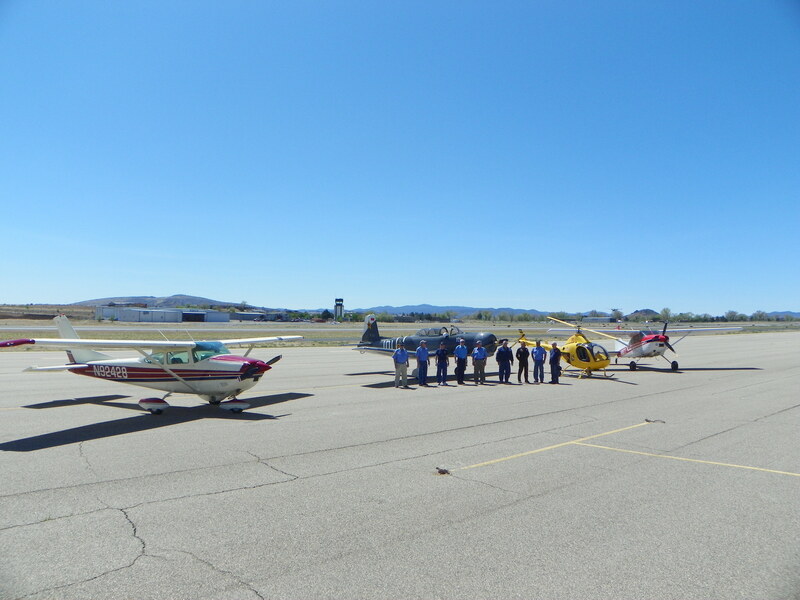 Organized in 1996, the Yavapai County Sheriff’s Air Group, (YCSAG), allows flying members of the local community to exercise their love of flying while making a significant contribution to their community. Based at the Ernest A. Love Field (PRC) in Prescott, Arizona the YCSAG members meet regularly for meetings and training sessions in preparation for aerial search and rescue missions. Operating privately owned aircraft, members regularly contribute to successful rescue efforts. Many of which were reduced to hours of searching instead of several days which was typical before the formation of the group. Designed for Search & Rescue personnel, this handy 5″ X 7″ card will help you learn how to communicate with YCSAG aircraft in an emergency. SAR PERSONNEL: see your coordinator for your copy or download YCSAG_Air-Ground_Communications now. Copyright © 2019 Yavapai County Sheriff's Air Group. All Rights Reserved.